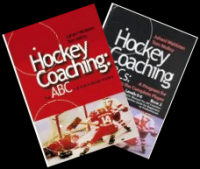 Keywords Give a target, face the puck, stay on-side, one touch pass, follow the shot for a rebound. Keywords Face the puck, give a target, skate while you pass and shoot, follow the shot. 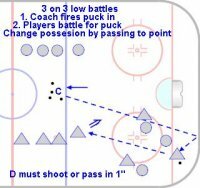 Keywords Face the puck, give a target, pass and shoot while skating, follow the shot.